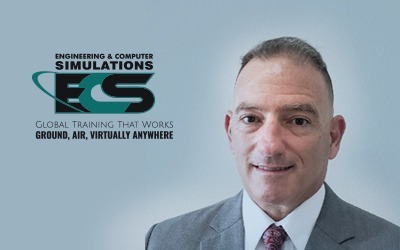 November 21, 2018 – (Orlando, FL) – Mick Golson, chief operating officer for Engineering & Computer Simulations (ECS), announced that retired Colonel William P. (Bill) Canaley will serve as the firm’s Enterprise Training Services Contract (ETSC) Project Manager. A retired U.S. Army officer with over 32 years of active federal service, Canaley is a government-certified Program Management professional with a strong portfolio of acquisition and operational achievements. He will lead the ECS ETSC team as they deliver training services and training technology solutions to military and civilians in contingency operations throughout the world. 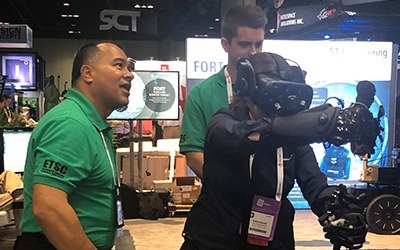 After 32 years of military service, Canaley retired from the U.S. Army as a Colonel from the Program Executive Office of Simulation, Training and Instrumentation (PEO-STRI) where he served as Project Lead in Field Operations. Familiar with the Team Orlando enterprise, he provided integrated training systems maintenance and sustainment and training services solutions for all branches of the United States Military and multinational coalition forces at over 600 locations around the world. Additionally, his experience ranges from serving as the Chief (Colonel), Materiel Programs Division for the Army National Guard G8; to Functional Area (FA) 51 Proponency Officer (Lieutenant Colonel) of the U.S. Army Acquisition Support Center; to Assistant Project Manager (Lieutenant Colonel) for Reserve Component Training Systems for PM CATT, PEO-STRI; and Chief, Resource and Acquisition Branch, in the Materiel Programs Division, Army National Guard G8. Canaley holds a bachelor’s degree in business administration from Cameron University and a master’s degree in management from Oakland City University. In addition, he is a Senior Service College graduate and Level 3 certified in Program Management. A a Prime Contractor on the ETSC contract, ECS will facilitate Program Management, supporting customer objectives and developing a wide range of training solutions in specific areas including aviation, medical and logistics. ECS is an award-winning global services and solutions company, headquartered in Central Florida with a second office in Huntsville, Alabama that is focused on aviation and aerospace. 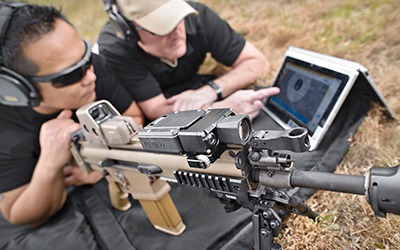 A trusted industry leader, ECS has adapted to challenges throughout its 21-year history to deliver seamless training and operational support to our Warfighters with a vast portfolio of best practices, technology and innovation. ECS develops, produces and trains military CONUS (continental United States) and OCONUS (outside of the continental United States) in over 45 locations by providing immersive, live and virtual training experiences and implementing expert global workforce services to support aviation, aerospace, logistics, medical, combat and other military teams. The company is also a workforce provider, which trains, coaches, staffs, and manages teams that augment the joint military service staffs.